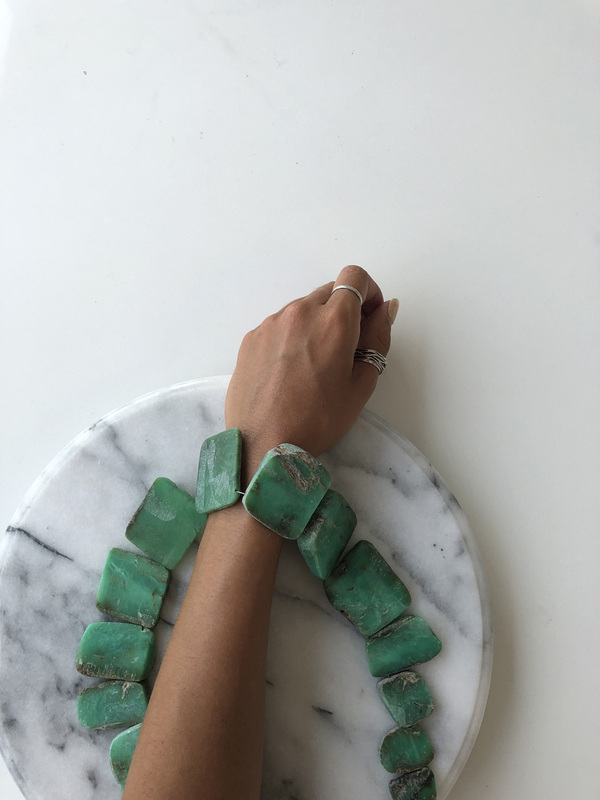 A real spectacular statement piece you need to add to your wardrobe. 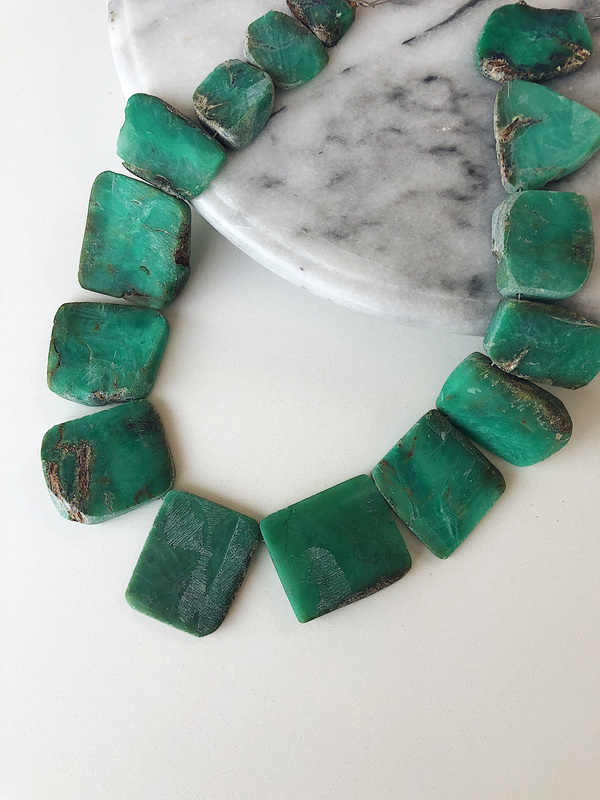 Uniquely shaped apple green chrysoprase Necklace. 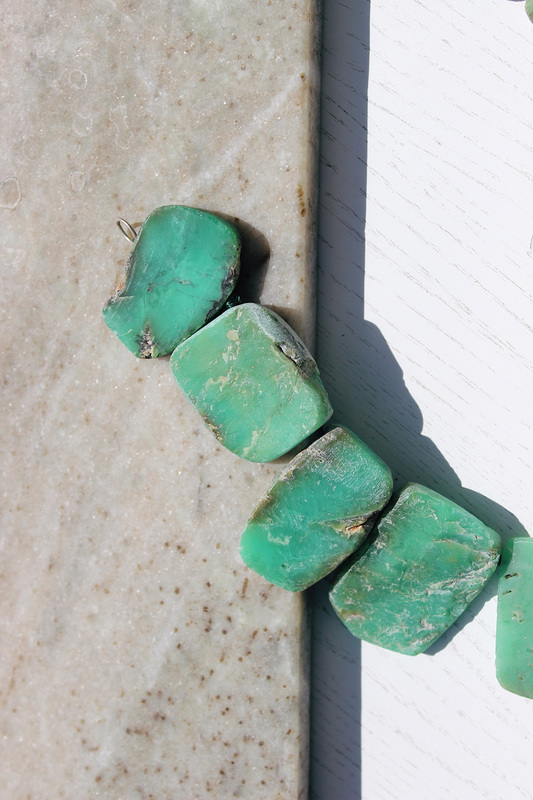 The best chrysoprase colour, mined in Australia. 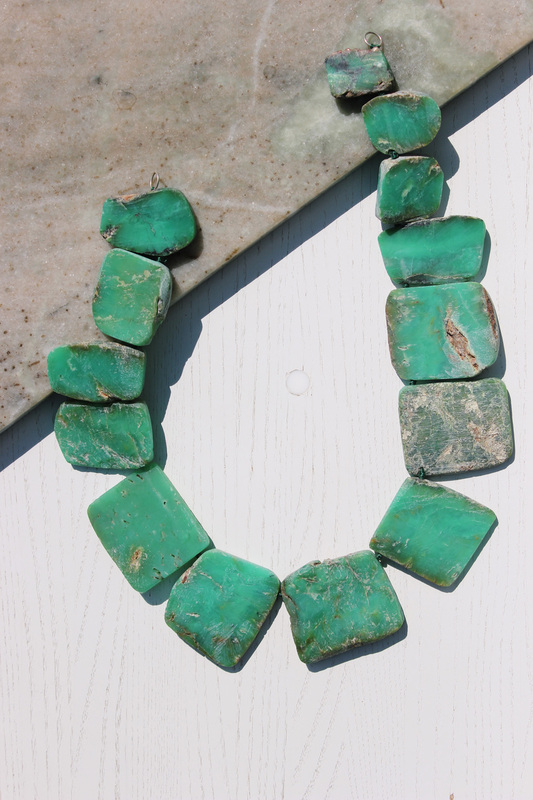 Each mineral point is about 3 inches long and hand strung. It's natural, and is known to exhibit optimism, joy, and happiness.